I thought it would be fun to build something in order to learn the new Google Appengine Channel API. The Channel API is a way to do a server push, much like comet technologies that have been around for a while. I've used the excellent cometd.org comet implementation for a while now and will continue to. Cometd allows you to setup "channels" (sort of like chat rooms) and have clients connect and send and receive JSON messages on those channels. This works really well. When a user with web browser publishes a JSON object to a channel, the server can do something with it and pass it along to all the other user. The Google Channel API can achieve the same results, but the architecture is a bit different. A channel in the Google Channel API, isn't analogous to a chatroom. It is a one-way connection from the server to an individual client. So each client establishes their own named channel to an Appengine web app, and the web app stores the names of the channels somewhere (like big table). Then the browser can do things like post AJAX messages to a servlet on the web app, and the web app can push messages to the named channels that were saved earlier. Both the Cometd and Channel API approach can allow you to do some really interesting web applications. 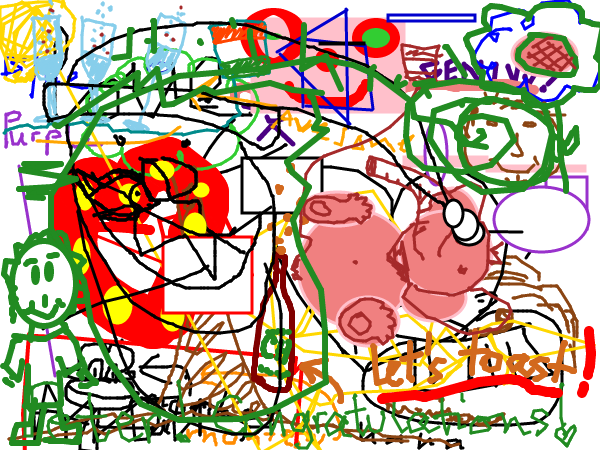 The whiteboard doesn't use any plugins and most browsers will work. Chrome seems to run it the fastest. You don't need a password, just give it any username, invite friends and start drawing. You can also fire up 2 different browser (say firefox, and chrome) to see it working in real time, if no one else is around to draw with you. Would love to hear feedback and suggestions here. I'm still adding features and cleaning up code. At the very least I'll post the drawing surface code on github soon. The backend is pretty basic, just a spring MVC java app that writes to channels and persists to the google data store. Yeah we're all still wait for some API or source of your code. Do you think it's difficult to add code to upload a background image on the whiteboard for annotations ? BTW, congrats and thanks for your nice work. @hobby16 thanks for the feedback! Only problem is, i have to scale the images down because app engine limits the channel message size, and they tend to fill up the datastore. Great ! If you are interrested in being a paid service provider (after some minor customisations, particularly in using CometD instead of Google Channel API) of your Collaborative Whiteboard, please contact me. You must have my email through your blogger.com account. Hi! Monteslu, I need your help with this. Thank you for sharing this info. I would like to ask you to share the source code, if it's possible, in order to try it on my project connected with the cloud-based application. The one should implement virtual data room solutions.